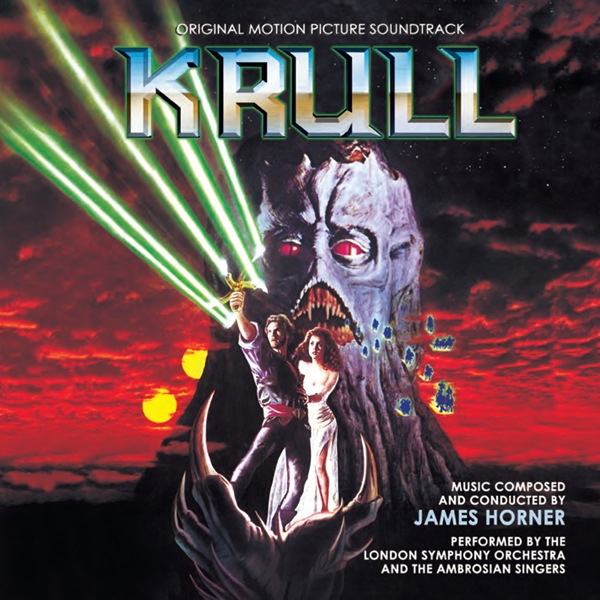 La-La Land Records and Sony Entertainment present renowned composer James Horner’s (STAR TREK II: THE WRATH OF KAHN, ALIENS, GLORY, TITANIC) remastered motion picture score to the 1983 Columbia Pictures sci-fi/adventure/fantasy KRULL, starring Ken Marshall, Lysette Anthony and Liam Neeson and directed by Peter Yates. Previously out of print, this 2-Disc re-issue of one of Mr. Horner’s most striking film scores is produced by Ford A. Thaxton and remastered by James Nelson, and features bonus tracks. 16 Page CD Booklet features exclusive, in-depth liner notes by Jeff Bond and art design by Mark Banning. Limited Edition Re-issue of 2000 Units. NOTE: This re-issue presents the same content and packaging as our initial release. The back tray art has been revised slightly to reflect a limited edition of 2000 units.